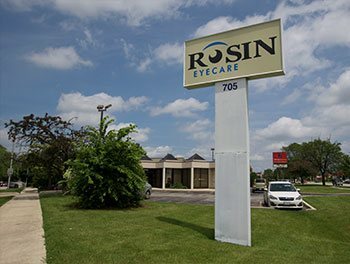 Since 1930, Rosin Eyecare has been setting the standard for eye care throughout Chicago and its suburbs. Visit our convenient Naperville North location to see for yourself why our friendly, knowledgeable staff is so well-known. 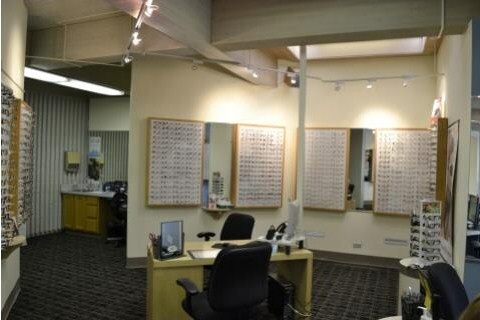 Located at the corner of Columbia and Ogden Ave., this Rosin Eyecare office at 705 E. Ogden Ave. provides comprehensive eye care services to patients from north Naperville and beyond. From eye exams and contact lens fittings, to LASIK Consultations we’re proud to provide professional, high quality vision care. At Rosin Eyecare, you can expect more than a simple eye exam. Our highly trained staff provides the expert care that everyone deserves, from finding specialty contact lenses to choosing stylish frames. We offer lenses and frames for men, women and children, including specialty eyeglasses for playing sports, reading, safety and more. If you’re interested in scheduling an appointment with us, call (630) 778-2020. I was referred by another Doctor. to Rosin. He said that Dr. Jonathan Rosin was his eye doc and the best in the business. I agree. I had seen FOUR other optometrists and they could not determine the cause of my double vision problem. Dr. Rosin found the problem and prescribed glasses that corrected it. Although he’s not the kind of guy I’d want to go bar hopping with, he’s the man I trust implicitly with my vision. Agreed, the place is kind of a crowded dump. And the eyeglass people are definitely “hard sell” types. But if you’re primarily interested in having excellent medical care for your vision, then Dr. Rosin is your guy.